Silent Auction in aid of the Kent, Surrey & Sussex Air Ambulance Trust and Etchingham Barn Owls Pre-School, in Memory of Emma Beeney. Dinner reservation for four people at the prestigious Merchants Taylors' Hall, London. Nestled in the City, the unique atmosphere of this historical building is complemented by the finest contemporary service. 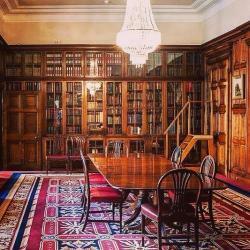 Taking place in the Library, which is in the heart of the Merchant Taylors' Hall, surrounded by its collection of first edition books which document the history of the building. A sense of opulence and luxury has always been part of fine dining at Merchant Taylors’. You and your guests will enjoy a mouth-watering selection of delights in elegant surroundings befitting the quality of food and service they are famous for – truly fine dining. 2 Adult tickets for this year's British Grand Prix at Silverstone on Sunday 16th July. Seats are located in Woodcote A on the entrance to the Woodcote corner. From this covered grandstand, you will have a brilliant view of the Wellington Straight and all the action taking place along there. This is where the DRS zone is placed meaning numerous overtaking moves are made into Brooklands corner which is right in front of you. You will also get the roar of engines as the cars accelerate into the National Pit Straight. As one of the largest providers of caravan holidays in the UK, with more holiday parks along the south coast of England than anyone else, Park Holidays UK caravan parks provide the perfect getaway for you and your family. 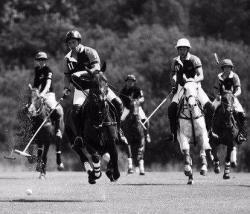 Polo lesson with former England player, Tristan Pemble. You will get to meet the horses and will be taught how to play the game of 'Kings and Queens'. This is an experience you will not forget! Suitable for anyone between the ages of 10 and 70, no previous riding experience is required. 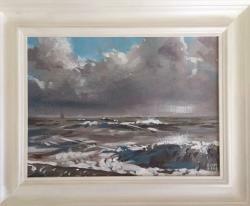 The lesson will take place in Ascot, Berkshire or Hampshire depending on the time it is booked. 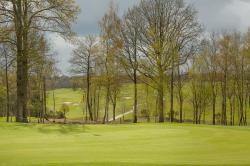 18 holes of golf on the Ian Woosnam Course for four people, available any day of the week. The course opened in 1997 to USGA specification and was designed by former Masters and Ryder Cup Captain Mr Ian Woosnam. The Woosnam Course offers spectacular views over the Weald and surrounding countryside and is a great test for players of any ability. Dale Hill Hotel and Golf Club is Located deep in the historic 1066 English countryside, with breath-taking views across the high weald ridges and valleys. 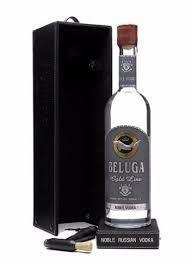 Beluga vodka is distilled in Siberia, 300 km from the nearest town. It is produced from malt using a natural fermentation process without the addition of enzymes. After distillation Beluga undergoes quartz sand filtration and is rested for three months prior to bottling.